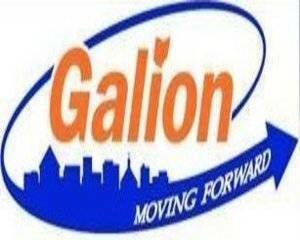 GALION — Galion City Council met on Tuesday to discuss a new business and put the wrap on legislation involving business creation tax incentives for businesses in Galion. The first ordinance addressed by council concerned a possible grant that the city was eligible to apply for again this year. The amount of the grant could be $60,000, which is much higher than the previous years. Mayor O’Leary said the city has applied for this grant for the past three years, using it for some bathroom facility construction. O’Leary said that if the grant was awarded to the city, possible plans include new playground equipment for either Heise Park or East Park. In past years, the funds from this grant have been used to upgrade restroom facilities in the city. Council revisited legislation from the previous meeting involving tax credits and related guidelines for Galion businesses. The ordinances are aimed at new businesses coming to Galion, but Mayor O’Leary stated that existing businesses would qualify if they met the restrictions. Council Member Tammy Siclair-Erlsten raised a question in regards to including stipulations to ensure that the city would have repercussions with qualifying businesses should they decide to leave Galion or reduce their workforce. City Law Director Thomas Palmer said that such a concern is valid and something that could be amended after further consideration. The ordinances were moved to their final readings and unanimously. The final legislation for the evening involved an ordinance pertaining to street improvements in the city. Mayor O’Leary noted that this was being addressed much earlier in the year as opposed to previous years in order to allow time for the bidding process as well as getting the work done during spring and summer months. Siclair-Erlsten also noted that the street crews have been surveying various areas across the city where repairs are most needed and those streets will be getting priority attention according to their recommendations. The ordinance was moved to its final reading and passed unanimously.